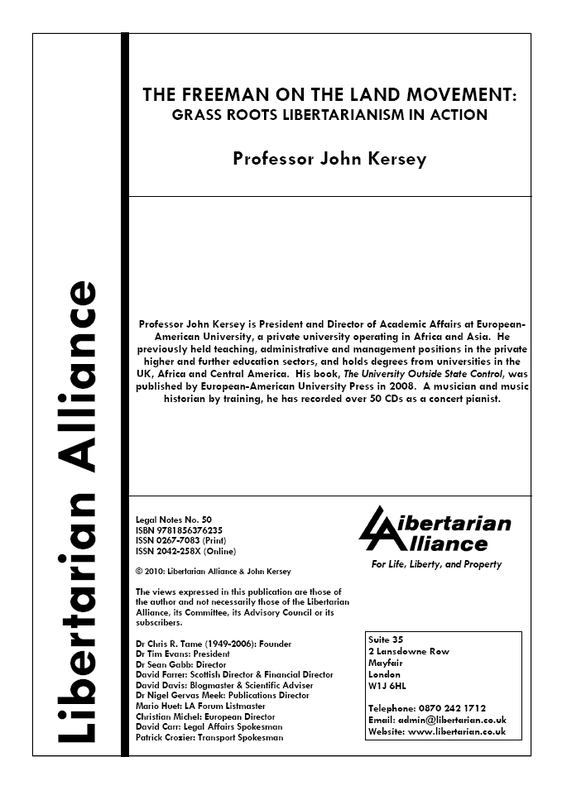 John Kersey’s recent essay “The Freeman on the Land Movement: Grass Roots Libertarianism in Action” has been published by the Libertarian Alliance UK in its Legal Notes series. The essay outlines the principles of the Freeman movement and its consequent implications for Lawful Rebellion under English Common Law, considering these also in a wider context of the relationship between the individual and the civil law. It has also been posted at the Libertarian Alliance blog.